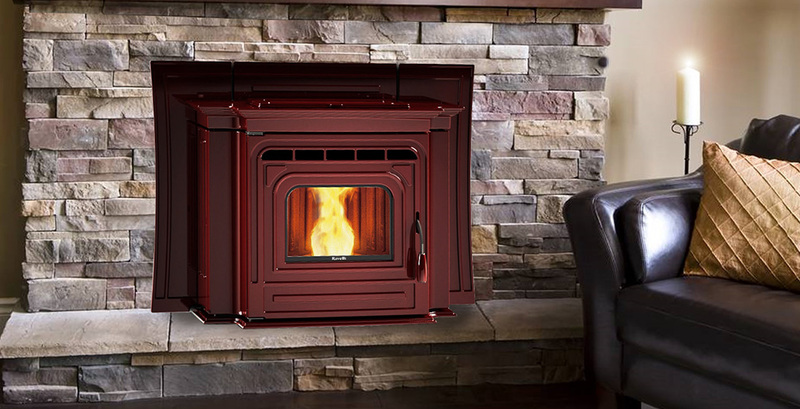 The Roma pellet-burning fireplace excels with outstanding heat output and high-efficiency operation. The 45lb hopper capacity provides ample burn time of 8-23 hours. The Roma exudes classic beauty that transforms any room into an inviting gathering space, available in beautiful porcelain bordeaux or classic matte black. Up to 85% efficiency and 44,000 BTU heat output. Stainless steel heat exchanger means increased fire resistance and reduced wear. *Square-feet heating capacities are approximations only. Actual performance may vary depending upon home design and insulation, ceiling heights, climate, condition and type of pellet fuel used, appliance location, burn rate, accessories chosen, chimney installation and how the appliance is operated.